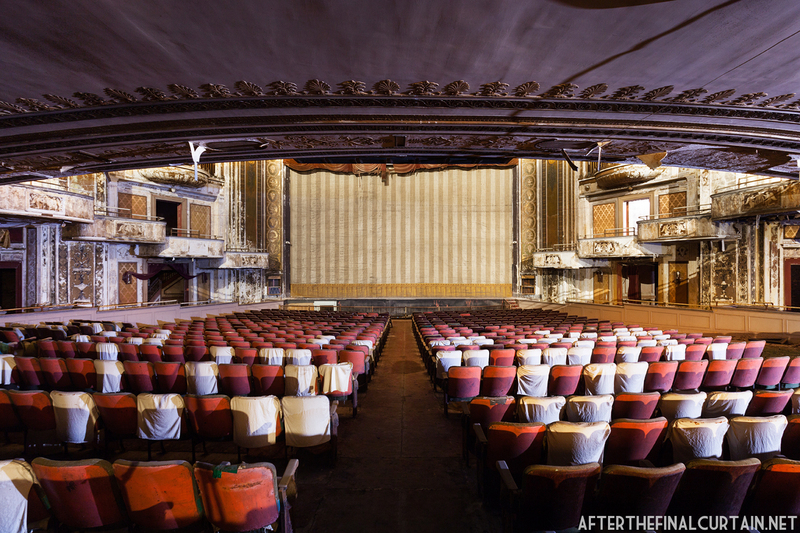 The Poli is one of the 22 theaters in my new book “After the Final Curtain: The Fall of the American Movie Theater.” Find out more here. View of the Loew’s Palace Theatre from the balcony. 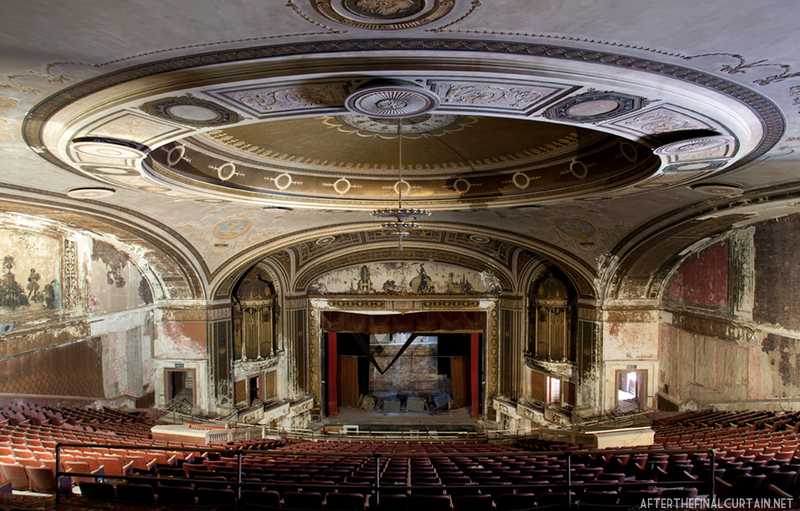 The Loew’s Poli Theatre opened as Poli’s Palace Theatre on September 4, 1922 in Bridgeport, Connecticut. 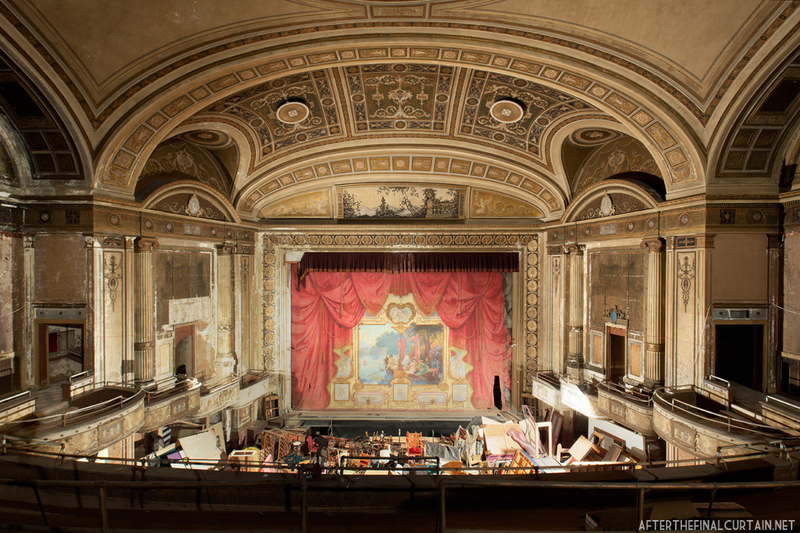 It was designed by architect Thomas W. Lamb (whose work can be seen in my posts on the Newark Paramount Theatre and the RKO Keith’s Theatre) for theater mogul Sylvester Z. Poli, who also owned the nearby Palace Theatre in Waterbury, Connecticut. 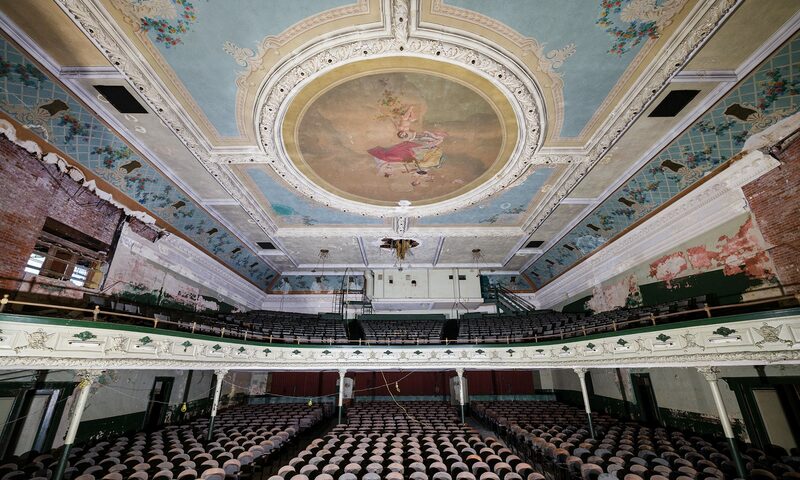 The 3,642 seat Loew’s Poli Theatre was the biggest movie theater in Connecticut, and remains the largest of Bridgeport’s theaters. Its sister theater which is located next to the Palace in the same building, the Majestic, opened two months later. The walls of the Palace are covered with frescoes of formal Italian gardens painted by Hans Lehman.